Manchester United have completed the signing of France Star Aliou Traore. 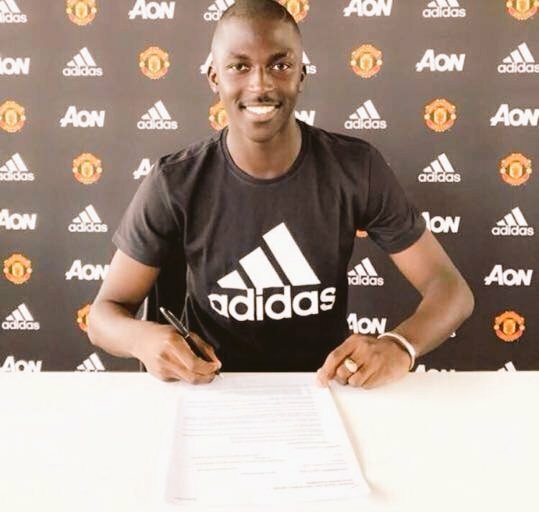 The Red devils announced his signing a day after defeating Arsenal on Saturday in a premier league side. The France international also made his debut for the Red Devils the same day. The ex-Paris Saint -German midfielder made his debut for the Red Devils' Under 18 in a 3-2 defeat at Wolves. United Under 18 coach Kieran Mckenna told MUTV: "Traore is a boy we've been looking at for a while. "He is a really powerful midfielder who likes to run box to box. He is very strong technically and he is improving all the time. "He's a nice man and his English is improving. He's settling in well with the boys and has taken to the club really well". We wish Aliou Traore a good time at Old Trafford and we hope he grows to be another Paul Pogba.